The NAB (National Association of Broadcasters) Show is where you’ll find the latest innovations in creating, capturing, producing, processing, delivering, and consuming TV-worthy content. With over 93,000 attendees from 153 countries visiting more than 1,700 exhibitors across 1 million square feet of exhibit space, there was plenty of cutting-edge technology to see, touch, and learn about. 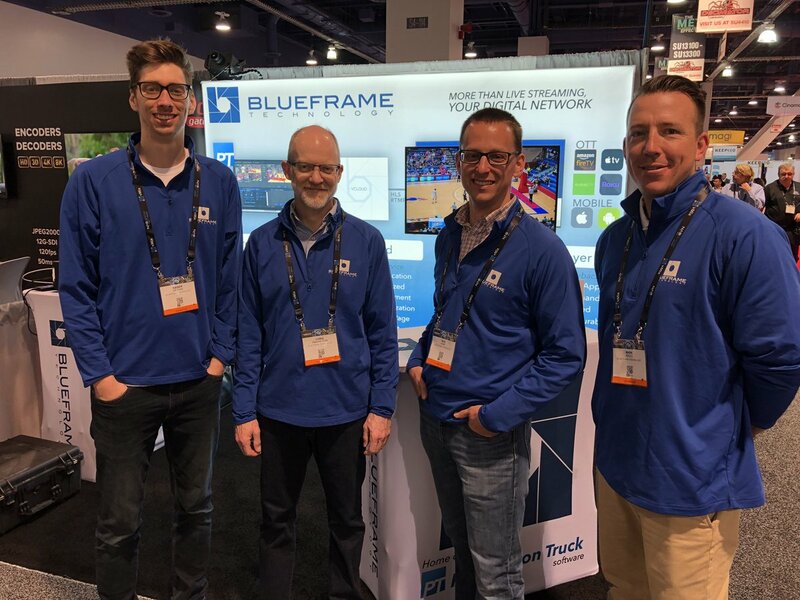 For the third year in a row, BlueFrame was one of the exhibitors at NAB, showing Production Truck software, the vCloud broadcasting service, and BluePlayer playback to any Internet-connected screen. Hundreds of people stopped by our booth to learn more about creating their own end-to-end digital broadcast network at a fraction of the price of traditional broadcasting. As happens each year, Division II and III athletic organizations told us they want to broadcast more games, but do so with very limited budgets. Division I schools and conferences want to expand their broadcast coverage to highlight their non-revenue-generating sports and student-athletes. Professional minor leagues, who often don’t broadcast every game, want to broadcast every game and create productions that are similar to what their major-league brethren provide to the public. Fortunately, BlueFrame can help with all of these. While our focus is on Sports Broadcasting Made Easy™, we also spoke with many broadcasters from traditional live-event production companies, radio networks that want to add video streams, and companies just looking for the standalone ease-of-use of Production Truck, the support and flat rate of vCloud, or our low-cost custom-branded mobile and OTT (Over-The-Top, also known as Connected TV) apps. When possible, we took turns visiting other exhibitors at the show. Here are some of the trends we saw and are excited about for 2018-2019. OTT apps were a hot topic: 94 exhibitors and 71 conference sessions mentioned “OTT” in their show abstracts. Why? According to a study by Level 3 Communications, viewership hours of live-linear streaming OTT video will surpass those of traditional broadcast TV by 2022. The popularity of a one-time-cost $39 streaming stick vs. a $100/month cable bill will clearly keep growing. Some exhibitors at the show offered to build custom v1 OTT apps for customers for tens of thousands of dollars. Fortunately, BlueFrame can add custom-branded, second-generation Netflix-like OTT apps to a school streaming package for just $500 per app, per year, and they’re included at no cost for most conferences. If you’ve ever had to run and tape several hundred yards of SDI cable to the far ends of a field to cover a game, you can appreciate how much easier it might be to just send your camera feed via a local ethernet port or a Wi-Fi transmitter. That’s just one of the many ways that NDI (Network Device Interface) technology from NewTek is making life easier for us and our customers, especially during multi-camera productions. NDI is also great for integrating Production Truck software with other production tools, including mobile phones running the NDICam app, NewTek TriCasters, telestrators, and even other Production Truck instances (great for splitting Production Truck tasks among two or three people). 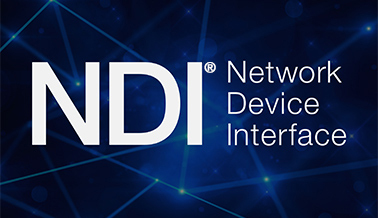 Essentially, NDI makes it very easy to discover and share live video feeds across any standard IP network. Dozens of exhibitors showed off products supporting it, and NewTek had a separate 20’x40’ NDI Central booth highlighting it. Even though NDI is a vendor-owned specification (much like Apple owns the HTTP Live Streaming (HLS) specification), we’re bullish on this technology as a great way to simplify production workflows. What does a school do when they just don’t have the budget or volunteers to run one or more cameras for a particular game or sport? In most cases, the games just don’t get broadcast or recorded. 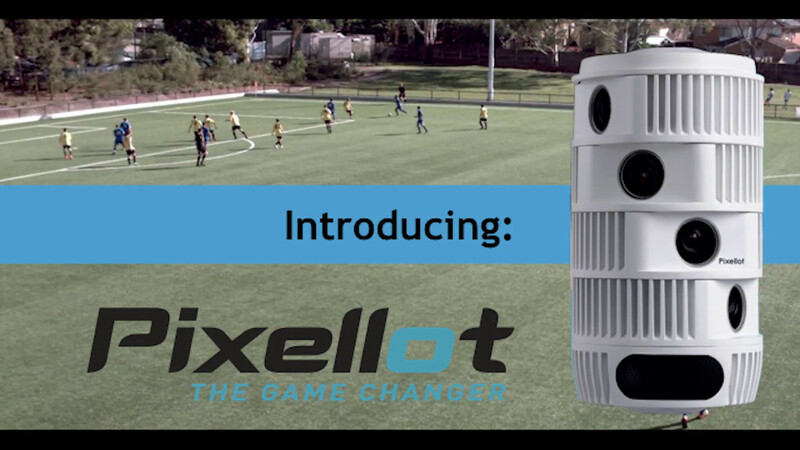 Well, what if you could install a smart system of cameras and software that automated the whole production, including virtual zooming, tilting, and panning to follow the action, switching cameras for the best shot, identifying the players on the field, putting scores on the screen, and creating an automatic highlights reel afterwards? One of the biggest challenges we and our customers face during live production is getting the produced live feed from the venue to the cloud for delivery. Many sports facilities, especially remote fields, struggle to use a weak Wi-Fi connection from a nearby building. The lower throughput this causes means you end up sending out lower-quality video that just doesn’t look as good. We can provide guidance on how to extend your campus Wi-Fi out to your fields, but sometimes, that’s not even an option. If you don’t have any Internet at the field, you’ll probably need to use the Wi-Fi hotspot function on your mobile phone, a mobile hotspot (relatively inexpensive) or a bonded cellular solution that sends your video across multiple mobile data connections (costlier, more reliable). Whatever way you find to connect to the Internet, we’re starting to integrate features in Production Truck and vCloud to reduce the amount of bandwidth you need. SRT (Secure Reliable Transport) is a new reliable UDP protocol designed to reliably move more video data across a network connection than standard streaming protocols such as RTMP. Another area we’re researching is the use of more efficient encoding methods. We use the industry-standard H.264 encoding to compress the video coming out of Production Truck today, but may be able to use HEVC (H.265) codec or the open-source AV1 codec from the Alliance for Open Media. TMI? Sorry – we get excited about the technologies and opportunities we find each year at NAB. Did anything here strike a chord with you, or make you want to ask questions? Let us know! Reach out to us at info@blueframetech.com. This entry was posted in Blog and tagged nab, nabshow, show, SRT. Bookmark the permalink.